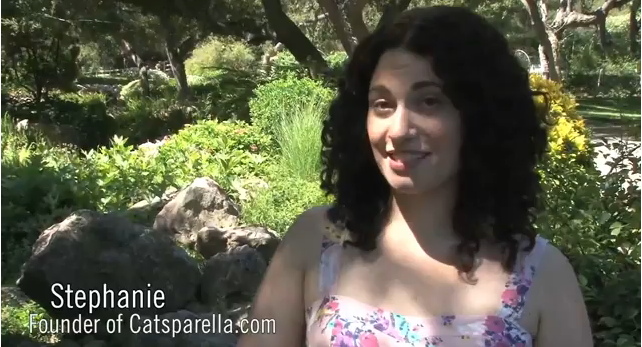 Catsparella: Catsparella Behind the Scenes of the Fancy Feast Storybook Wedding Shoot! Catsparella Behind the Scenes of the Fancy Feast Storybook Wedding Shoot! Fancy Feast just released a behind the scenes video of the making of the "Something Borrowed" Storybook Wedding commercial, and guess what? I'm in it! Well, for a few seconds anyway! Watch to get a look at what went into the making of the commercial, along with interviews with the writer, cast, marketing team, and more; When you get to around the three minute mark, you'll also catch a glimpse of me, and hear me talk about how I've always wanted to meet the Fancy Feast cat! If you still haven't seen "Something Borrowed" to see how Sean and Lisa's most purrfect wedding ends, you can watch the full-length version of the commercial here. sweet! it made me tear! baby do! is sitting next to me and i said, i'm devoted to you! even before you got here :) ... thankx! for the post and glad you got to be a part of that! I so love these ads, they've really come up with a great idea here. I have to squee every time I see it! Glad you shared this as we don't have the Fancy Feast ads in the UK! Woo Hoo Stephanie! Thank you for the glimpse behind the scenes. I love it when they say, everyone quiet -- the cat is on the set. Like announcing royalty! Is it hard to resist asking if you can take the cat home? Such an unbelievable cat! I thoroughly enjoyed this and enjoyed seeing you on the video too! You looked good on camera!! That was really fun to watch!! You were marvelous! So when is Animal Planet going to give you your own show? ke ke ke. No I'm serious. I love this series of ads; they are precious! I always emit an "AWWWWWWW" when I view any of them! I always stop what I am doing to watch them, even if I have seen the ad before. Never tire of them.